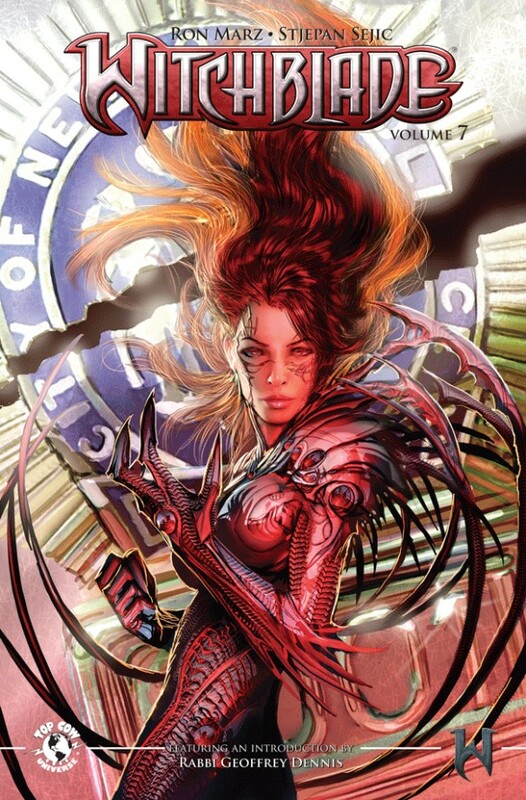 Collects Witchblade 120-124 and additional stories!The new era of Witchblade featuring the team of writer Ron Marz and artist Stjepan Sejic continues! The pair committed to staying on the title until at least issue #150 and their second complete arc together entitled 'Crown Heights' is collected in this trade paperback. More importantly this storyline sets the stage and leads directly into 'War of the Witchblades'. Collects Witchblade #120-#124 plus additional stories previously featured in Top Cow's 2008 Free Comic Book Day offering ("Broken Trinity: Prelude"), Witchblade #125 ("Augury") and Witchblade Annual 2009 ("If Looks Could Kill"), a cover gallery featuring Stjepan Sejic, Matt Haley, Tyler Kirkham, and plenty of bonus materials.